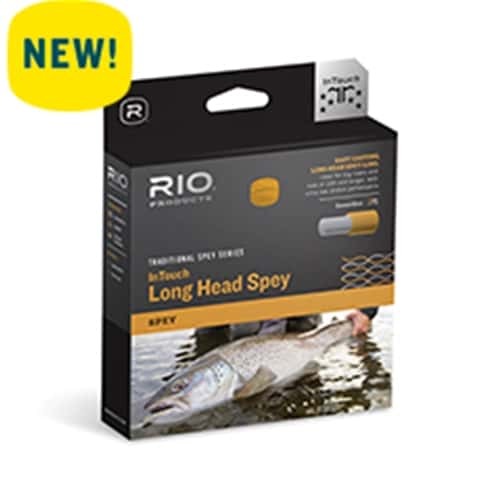 The InTouch Long Head Spey line has been designed for bigger rivers and long two-handed and Spey rods. A series of sophisticated tapers and steps in the line design makes this one of the easiest casting long belly lines on the market, and a total joy to cast. The rear weight distribution ensures the rod loads easily, while the unique front taper design allows energy to unroll effortlessly to the fly – resulting in easy and effortless distance. The line is built with RIO’s ultra-low stretch ConnectCore for the very best in efficiency and load.